For over 50 years, Neptune has provided diaphragm metering pumps, chemical feed systems, mixers, and chemical injection accessories for agriculture, energy, process, and water applications. Innovation flows through everything Neptune does – ensuring their chemical injection, chemical feed, mixing and metering pump solutions meet the highest standard. Capable of handling many challenges with a metering pump solution, Neptune’s metering pumps can be designed to handle corrosion, erosion or solvent action, and the flow rate and discharge pressure of many applications. Neptune is known for providing hydraulic and mechanical diaphragm metering pumps to inject chemicals into boilers and cooling towers, as well as water treatment applications. Neptune’s portable mixers and polymer blending systems provide customers with optimal precision, reliability, accuracy, and quality. North Wales, Pennsylvania represents one of many PSG locations where innovation flows. This 100,000 square-foot, state-of-the-art facility is where Neptune Chemical Pump Company, Neptune Mixer Company and Fluid Dynamics™ call home. Neptune also has representation and distributors worldwide. With engineers and sales professionals throughout Neptune that are dedicated to helping you select the best equipment and system solutions for your applications, Neptune is your trusted source for precision and quality industrial equipment. The Neptune Series 500 Hydaulic Metering Pump is a diaphragm metering pump featuring the EZE-CLEAN valve design with double ball check enabling the valve to be removed without having to disconnect or move piping. The Series 500 is also leak free and handles a wide range of corrosive, flammable, or hazardous liquids. Because of quality, durable construction, the Series 500 has long term reliability and remains accurate up to 1% for longer. Materials available are 316 SS, PVC, PVDF and Alloy 20. 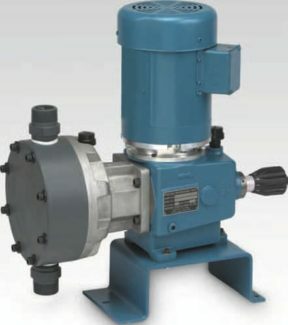 The Neptune Series 600 Hydaulic Metering Pump is a diaphragm metering pump featuring a motor driven design and removable valves that do not require piping to be disconnected or moved. Because of quality, durable construction, the Series 600 has long term reliability and remains accurate up to 1% for longer. Materials available are 316 SS, PVC, Kynar and C-20 with Teflon diaphragms. 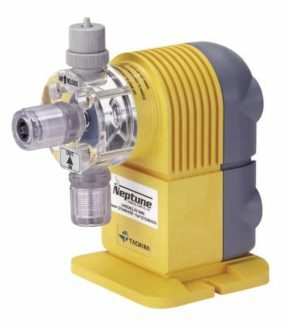 The Neptune Series 7000 Mechanical Metering pump is a diaphragm metering pump featuring a straight-through valve and head design that optimizes flow rates by eliminating the need for countrou plates on the liquid side of the diaphragm. 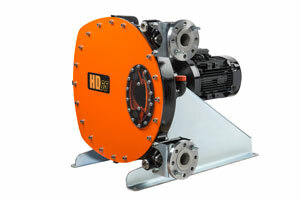 These pumps work excellent when the process flow can release gas into the environment. They are self-priming with suction lifts exceeding 20 ft and handling viscosities up to 5000 cP. Materials available are 316 SS, PVC, PVDF, or Alloy-20. The Neptune PZ Series electronic metering pump accurately and reliably injects a wide variety of liquids into process flow. 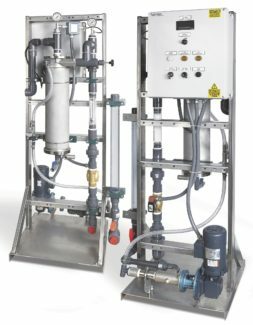 The pumps easily integrated into existing chemical metering systems, and feature an air release valve giving it the ability to manage chemicals that off-gas at room temperature such as sodium hypochlorite. It features manual stroke length adjustment and digital setting options for stroke speed, discharge volume or by percentage. There are built in timer and batch functions. Materials available are PVC, acrylic, stainless steel, and PVDF. 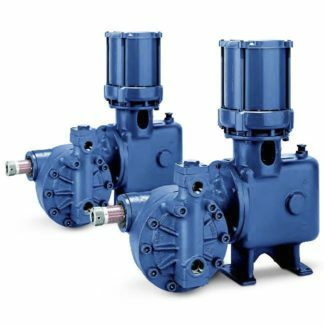 The Abaque series of pumps feature a seal-less design that eliminates leaks and product contamination, and have the ability to run dry continuously without adversely affecting the pump’s performance. 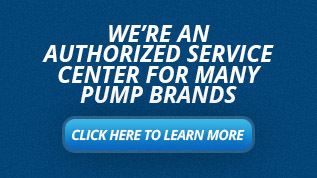 These pumps have the ability to pull a prime of up to 29.5 feet of water, while passing solids up to 1.2 inches. Sizes range from 3/8 to 5 inch inlet/discharge ANSI flanges or barbed connections. Non-Wetted construction consists of ductile iron, but wetted construction includes Natural Rubber, Nitrile Buna Rubber (FDA liner available), Ethyl Propylene and Hypalon hose materials, which gives the ability to pump materials up to 176 degrees Fahrenheit. Neptune’s Gear Drive Mixer is a portable mixer designed, engineered and built to last long and have easy maintenance in a wide range of blending/mixing applications. 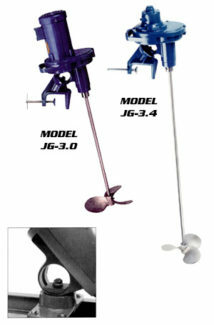 Mixers can be clamp-or base- mounted on beams, tank walls, and other supports. 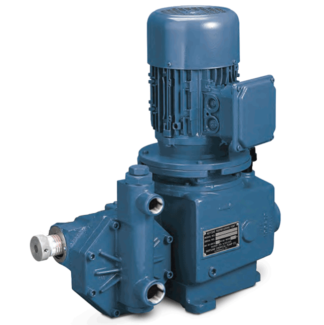 There are a variety of motor options available including air, TEFC, and explosion-proof motors. The mixers are grease lubricated removing oil leaks and contamination. Laboratory grade mixers are also available. Neptune Gear Drive Mixers have a long life, low maintenance, and have a variety of material options to suit any application. The Neptune Polymaster Chemical Feed system dilutes, mixes, and thoroughly activates emulsion, dispersion, and solution polymers including new high molecular weight products. The Patented Gatlin distribution head provides the maximum polymer efficiency through superior mixing, while not shearing fragile long chain polymers. The lightweight, compact design makes installation and portability easy. Through the Fluid Dynamics brand, there are a variety of ingeral process solutions for polymer blending and preparation. The miniBLEND is a simple, easy to use, and budget conscious solution for chemical OEMS, or mobile sludge dewatering. The dynaBLEND is a larger system and is the most reliable feeder in the industry with the patented hydrodynamic mixing chamber, and east to access polymer check valve. The dynaBLEND dry polymer preparation system is uses a negative pressure conveyance system to transport and disperse the dry polymer prior to wetting. The dynaJet Dry polymer preparation system uses a blower-assisted conveyance system to transport and disperse the dry polymer prior to wetting. Neptune also offers a variety of process accessories to complete and enhance systems. They offer Corporation stops, back pressure and relief valves, injection quills, EZE-Grab platforms, calibration columns, sample coolers, by-pass feeders, pulsation dampener, nimble skid pump packages, and 30-gallon Mini-Tanks.